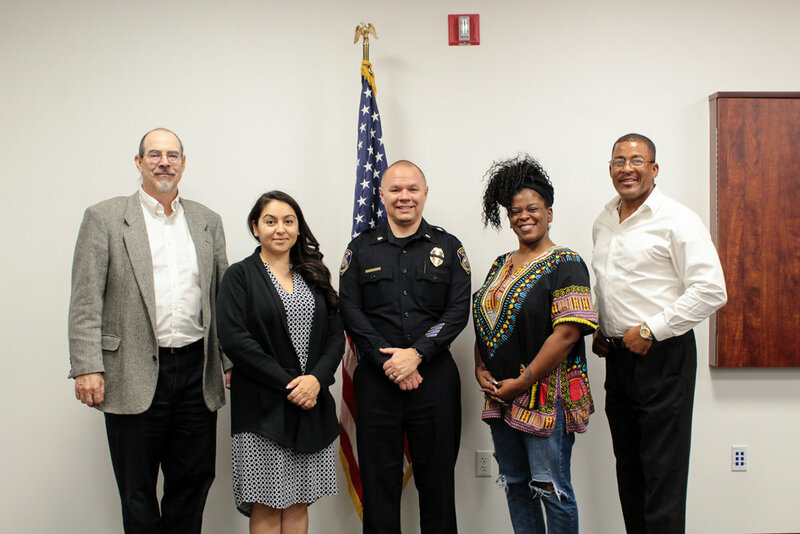 The Policing Project recently visited Stockton, California, as part of our national field research project with our partners at the National Police Foundation and National Urban League. We are visiting cities across the country to learn about their approaches to police-community engagement, and the challenges and successes they’ve encountered along the way. In 2012, the City of Stockton declared bankruptcy, had a record high number of homicides, and faced serious community tension around its policing practices. To increase trust and police legitimacy, newly-appointed Chief Eric Jones directed the Stockton Police Department (SPD) to focus on procedural justice. Procedural justice is based on the principle that people obey the law not out of fear of punishment, but because they believe the law is just and that legal authorities are acting in a way that is honest, unbiased and fair. Procedural justice holds that community-police relations improve when communities feel police officers share their values and are protecting their interests. As such, procedurally just policing revolves around four principles: treat people with dignity and respect; give citizens 'voice' during encounters; be neutral in decision making; and convey trustworthy motives. Under Chief Jones’s leadership, SPD set out to make procedural justice the cornerstone of everything they do. The Listening Chart is used by SPD to organize their approach to community engagement. 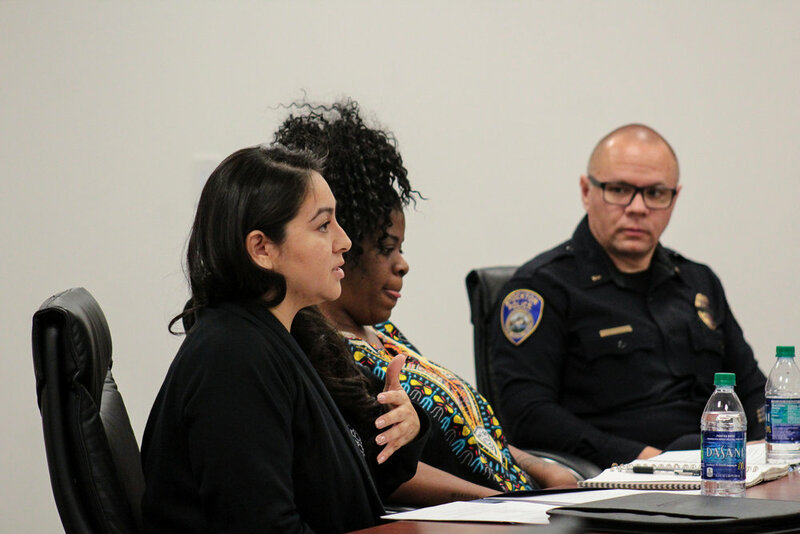 To apply the tenets of procedural justice to policing in Stockton, SPD decided it had to ensure that communities had a voice in how they are policed—and that this philosophy had to extend beyond individual police encounters to the larger policies and procedures that guide officer behavior. With this in mind, SPD created four levels of engagement to reach out and listen to community members: (1) large public forums; (2) neighborhood or issue-based meetings; (3) racial reconciliation sessions; and (4) a listening tour with Chief Jones and the City Manager. From there, SPD moved to incorporate these four themes into its policies and procedures. The department formed a Policy Committee made up of five volunteer community members. This Committee meets regularly with SPD command staff to revise departmental policies to address the four themes identified in public outreach. This Policy Committee is currently reviewing 11 policies, including policies relating to mental health, discrimination, arrest procedure, and use of force, with an eye toward ensuring that the policies enhance procedural justice and fairness. Jennifer Zeunik of the National Police Foundation high-fives Policy Committee member Darius Williamson. In many places across the country, communities look at engagement efforts by their police departments with skepticism – and rightfully so. For some police departments, “community engagement” amounts to a few town hall sessions where the police involved are not truly invested in engaging with community members on a policy level. Stockton’s structured and sustained approach to listening to community concerns and revising police practices stands in sharp contrast to this. 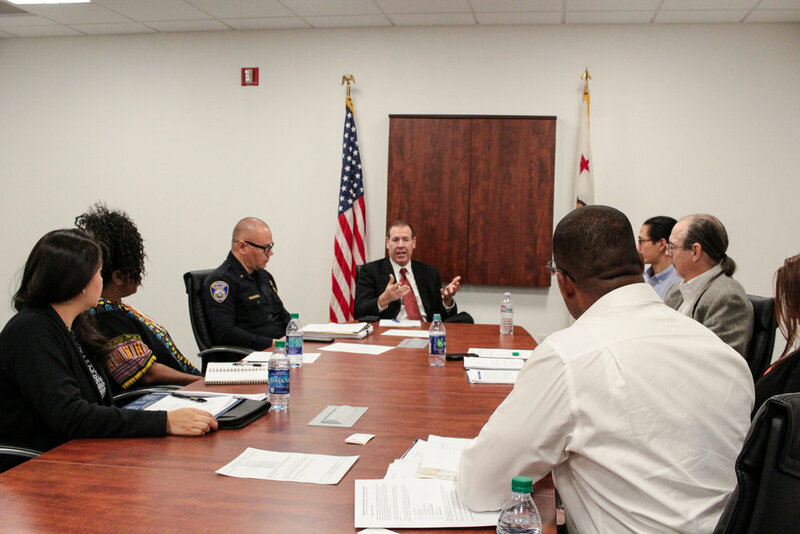 SPD has deliberately tried to listen to the numerous communities across the city and has empowered a volunteer committee to provide specific recommendations to ensure that the department’s policies align with the values and priorities of the greater Stockton community. That isn’t to suggest that SPD’s approach is perfect. It remains to be seen what the Policy Committee’s final set of recommendations will amount to, and how much they will affect Stockton officers’ everyday operations. 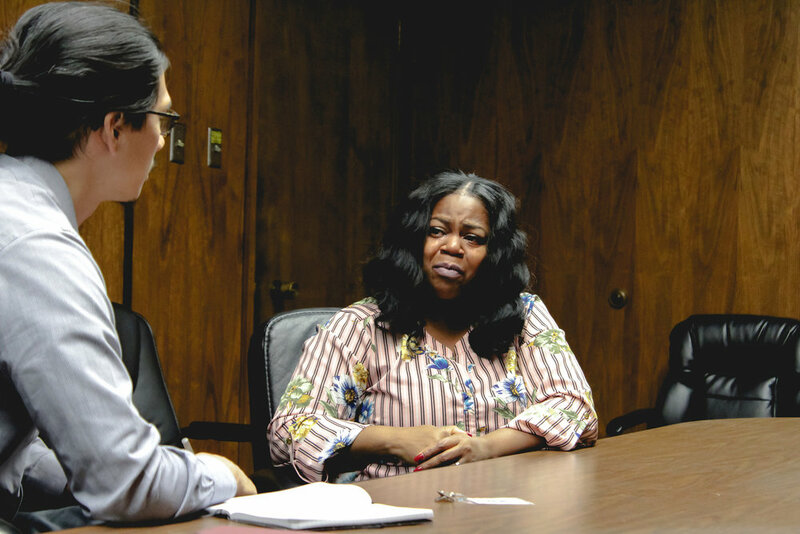 While in Stockton, we also met with some community activists who felt the department’s transparency and openness could be improved. Still, what Stockton shows is that more thoughtful engagement with communities who have suffered from police discrimination and violence is possible, even for departments facing low staffing, tight budgets, and high crime.